Beginner’s Guide to 24option Review 2019 - Is it a Scam or Safe to Use? 24option delivers an intuitive trading platform with the latest tech and a range of trading choices. One of the goals of 24option is to help the masses trade, whether they are new to trading or experienced professionals. 24option prides itself on offering extensive educational materials, including daily news, webinars, and more. The vision behind 24option was to make it possible for traders to invest in financial markets via a user-friendly platform. This broker makes a commitment to integrity with four specific points. One focus is connecting opportunities, making it possible for traders to connect with the numerous daily opportunities that arise. 24option also ensures that clients can maintain control, so they drive their own success and delivers freedom of choice with tailored solutions to meet individual needs, unlimited market assets, and more than 100 tradeable assets. Finally, 24option delivers professional and personal support that is there to help clients every step of the way. 3 What Devices Can You Use to Trade with 24option? 18 What Other Trading Strategies Does 24option Explain? 20 What Other Tools Does 24option Offer? There are four types of accounts available from 24option, and you can select the one that best meets your needs. You can choose the right one for you upon registering or just register to start trading. Alternatively, you can consult with an Account Manager who will help you choose an account based on your goals. Basic Accounts include a platform introduction, a dedicated account manager, access to webinars and seminars, an introduction to the financial markets, a demo account with 100,000, and a daily market brief. Silver Accounts add an explanation of risk management, no maintenance fees, max lots, and a one-on-one tutorial for sentimental, technical, and fundamental analysis. This type of account also receives explanations of the most common trading strategies that are short, medium, or long, depending on your preference. Gold Accounts get senior account managers, access to Trading Central, free withdrawals, and a one-on-one course for using MT4. Finally, Platinum accounts get better spreads. It is possible to upgrade your account in the future, with approval from 24option. To become a 24option trader, you just need to complete registration, which you can do via the homepage. Alternatively, you can click Sign Up in the top-right corner of any page on the website. You will need to make a minimum deposit of $250, and once that transfer is completed, you can begin trading. 24option offers a range of assets, with a focus on CFDs and forex. CFDs, or contracts for difference, are derivative products that make it possible to trade on the difference between closing and starting values without actually owning the asset. This type of trading also allows for a lower initial investment. To trade one of the CFDs on 24option, you predict the asset’s market movement. Buy if you predict there will be an increase in value or sell if you think it will fall. The other major category of assets available to trade via 24option is forex. Trading forex is when you buy one currency and sell another at the same time. The goal is to profit from the changing values of the two currencies in question. Because there are huge volumes traded every day in forex, this market has very high liquidity, especially in the case of the major currency pairs. Like CFDs, it is also possible to invest in forex with a small initial investment, but the tradeoff is that you must then use leverage. While leverage can amplify the potential gains, it also magnifies the potential losses. As such, a great deal of skill and knowledge is necessary to trade forex. Within the category of CFDs, you will find a range of assets available for trading on 24option, including cryptocurrencies. 24option supports trading the five most popular cryptocurrencies as CFDs. Other CFDs include commodities, stocks, and indices. What Devices Can You Use to Trade with 24option? Alternatively, you can also use one of the mobile applications to trade with 24option. There are applications for both Android and Apple devices. You can use 24option’s web trader or utilize the MetaTrader 4 platform, which is available for most desktops, browsers, and mobile devices. The setup of the 24option web trader is similar to other brokers, which makes it easy for clients to figure out exactly how to use it. On the left third or so of the page, you will see a list of assets, each with a column displaying its bid, ask, change, and high/low. You can scroll through the various instruments listed there to find your chosen instrument. Alternatively, you can use the search bar on the top-left corner of this section. Clicking the search bar also lets you filter results by asset type, with divisions for forex, cryptocurrencies, commodities, stocks, indices, and favorites. The right two thirds or so of the screen shows the expected graph for your chosen instrument, although there is an option to not show the graph and just view the order form. Unfortunately, you can only view either the graph or the order form, not both at the same time. Below the chart, you will find a list of your open trades, each with its trade number, opening time, symbol, lots, and type. Clicking on the tabs immediately next to the one dedicated to open trades will show you your orders and trade history. A nice touch is that immediately to the right of this is the Economic Calendar, conveniently built into the platform. You can see the date, currency, message, impact, actual, forecast, and previous. To the right of that, you will see the daily market update. The default graph type is candlestick, although you can change it to dots, area, line, Heikin Ashi, or HLC. To do this, click the three dots in the top-left corner of the chart. Below the dots, you will see a settings symbol, which lets you customize your chart further. The same drop-down menu with three dots also lets you select the time intervals on the chart, with options of 1 minute, 5 minutes, 15 minutes, 30 minutes, hourly, daily, weekly, or monthly. This drop-down menu is also where you will find the option to zoom in or out on the chart, which you can also accomplish via a mouse scroll. Other zoom options include zoom left, zoom right, view all, and default zoom. Below these in the drop-down menu, you will find the ability to enable or disable the pointer, delete selected shapes, delete all shapes or studies, or duplicated the selected shapes. Below this, you will find a wide range of drawing tools, such as rays, lines, extended lines, trend lines, arcs, ellipses, triangles, and more. There are also advanced tools like Fibonacci retracement, Fibonacci time-zones, Fibonacci fans, Fibonacci arcs, Gann fans, Fibonacci extension, time-extensions, Gann squares, cycle lines, and linear regressions. Or you can launch the Indicators Wizard at the bottom of the drop-down menu. The Indicator Wizard lets you set favorites and divides indicators into Trend, Oscillators, Customize, and Bill Williams, with dozens of options. While the vast array of tools on the graph is a strong point in favor of 24option, traders will likely find it incredibly tedious to scroll through the entire drop-down menu to find the specific tool they want. Other platforms that divide these tools into separate drop-down menus tend to be more convenient. The top-right corner of the graph offers a full-screen option, but even if you select this, everything remains in a single drop-down menu. The top-right corner of the graph itself shows the open, high, low, and close prices for a point that you hover over. Hovering over any point on the chart will also show you the specific price and time. To make a trade, go to the web platform on 24option and make sure the graph is closed so you can view the order form. Select your chosen instrument on the left section of the screen, then fill out the volume you wish to trade (in lots) on the form. As you enter a figure, the pip value to the right will automatically update. Immediately below the volume and pip value, there is the option to “Open trade when rate reach.” Check the box if you wish to open the trade only when the rate reaches a certain point, then adjust the value in the box to the right. Once you do so, you can select Sell or Buy. From there, you have the option to select to “Close at loss” or “Close at profit,” if you wish. Checking either of these boxes will allow you to adjust the measurement to pips or rate and then adjust the figure. Once you are ready, click Trade. Alternatively, you can choose to buy or sell at the market value. Below the option to “Open trade when rate reach,” you will see a Sell button on the left and a Green buy button on the right. Each shows a value and you can view the pips of spread between them. The value indicates the points that the asset must pass for your trade to be successful. Click on the relevant button followed by Trade to place a trade at the market value. The mobile application from 24option is offered for either iOS or Android devices. Either application offers the same functionality that you will find via the web trader from 24 option along with the Education Center. There are 12 languages available to help appeal to clients from around the world. Use the application to make trades, explore assets, track your trades, analyze past trades, or view breaking news. When you register an account with 24option, you will be prompted to choose your preferred currency for trading. Unlike some brokers, 24option does make it possible to use several different currencies in a single account, a feature that many traders appreciate. You can set the preferred currency of your account to U.S. dollar, Japanese Yen, British Pound, Euro, or Ruble. There is a lengthy list of ways to make a deposit with 24option, with slight variations depending on your country. There is support for credit and debit cards, including Visa, Master Card, and Discover. You can also make a wire transfer or Fast Bank Transfer. Other deposit methods include Diners, Switch, JCB, Neteller, Skrill, AstroPay, iDEAL, Qiwi, Sofort, GiroPay, Neosurf, PostePay, and PaySafeCard. To view the specific options for your region, go to the Banking page of 24option, which is found under the Forex/CFD main tab in the My Account subheading. Select your country from the drop-down menu, and you will see a complete list of options for deposits and withdrawals appear, along with the option to read more about each method. Keep in mind that there is a minimum deposit for 24option based on funding type. For credit cards, the minimum is $100, €100, £100, R1200, or ₽10,000. For electronic payments, it is identical. Wire transfers have slightly higher minimums of $1000, €1000, £1000, R1200, or ₽10,000. There is also a maximum deposit amount depending on the payment method. You have to contact your account manager if your deposit is via wire transfer or electronic payments to get the maximum amount. For credit card deposits, there is a daily limit of $/€/£ 10,000 or ¥100,000 and a monthly limit of $/€/£40,000 or ¥4,000,000. 24option does reserve the right to adjust those values, both for minimums and maximums, at any moment without notice. Deposits made via credit cards and electronic payments are credited as soon as 24option receives the payment. Wire transfers may take as long as five business days before your account receives the funds. 24option does currently offer a deposit bonus known as the First Deposit Trading Bonus Scheme. The trading bonus is the equivalent of 25 percent or 50 percent of your first deposit or $500, whichever of the two is lowest. You can view the full details of the bonus in the Legal section of 24option or by consulting your account manager. 24option has the same withdrawal options as those for deposit. You can view the specific options for your country on the same Banking page as the deposit methods, but know that they will likely be identical. To make a withdrawal, you just go to the banking page of your account and select Withdrawal. Fill out the form, and then submit it by selecting Next. As is the case with any other broker, 24option has the policy of processing all withdrawals back to the original payment method. This is to provide protection against money laundering. In cases when the amount of the withdrawal is more than the deposit amount made by credit card, the remaining balance is transferred via a wire transfer. For further security and anti-money-laundering protection, 24option will request verification documents before you can complete your first withdrawal. This includes an official ID with a picture, such as an official government ID document, driver’s license, or passport that is not expired. You will also need to submit proof of address, such as a utility bill (electricity, phone, or water from the past six months) or a credit card or bank statement. In the case of deposits made via credit cards, you will need to also submit a photo of the front and back of the credit card, showing just the final four digits of the card. If you need to provide documentation, you will receive an email letting you know and providing instructions. The minimum withdrawal amount from 24option is $10, and the maximum limit is the amount of funds currently in your account. You can make a withdrawal at any time, but 24option only processes the requests during business hours. 24option always strives to complete the withdrawal requests as quickly as possible. The withdrawal fees from 24option vary based on account type with all withdrawals from Platinum and Diamond Accounts being free. Those with Basic, Silver, or Gold have the following fees depending on the currency in question: 35 USD/EUR/GBP/CHF, 250 CNY, 4,000 JPY, 2,500 RUB, or 100 TRY. If you withdraw via a wire transfer, there will be a fee of 35 USD, 35 EUR, 35 GBP, or 4,000 JPY. Withdrawals via credit card come with a 3.5 percent fee while Skrill (Moneybookers) withdrawals have a 2 percent fee, Webmoney has a 0.9 percent fee, Qiwi has a 3.5 percent fee, and Neteller has a 3.5 percent fee. Intermediary banks may also charge additional fees. 24option also charges inactivity fees for accounts that do not have any transactions for a period of two months or more. Transactions include deposits, withdrawals, and trades. The fee for two to three months of inactivity is 80 EUR, which rises to 120 EUR for three to six months and 200 EUR for more than six months of inactivity. If the client’s currency is not in Euro, then they will be charged the equivalent based on the exchange rates of that day. There are also monthly maintenance fees of 10 EUR. If you are charged an inactivity fee, this replaces the maintenance fee. 24option does not charge any fees for deposits, commissions, or financing. Regardless of account type, 24option has a margin call level of 125 percent and a stop out level of between 20 and 100 percent. The maximum trade size for forex pairs is either 30 or 10 lots, and you can view a full list of which forex pairs fall into which category on the relevant page in the Legal tab of 24option. For stocks, there is a maximum trade size of 10 lots and default leverage of 10. For indices, these figures are 3 and 50, respectively. 24option relies on the least high-tech techniques available to protect the private information of clients at all times. All transmissions are secured via a 128-bit SSL encryption certificate that Thawte provides. In addition to the extensive education section, 24option also has a separate page of its website where the broker outlines some of the basic strategies for CFDs. The basic strategies include focusing on just a few markets at first, preferably just three for beginner traders. By following this strategy, you can eventually become an expert in a given market. Another strategy is determining the best timeframe for you as some traders prefer long time frames while others prefer short ones. Long-term traders of CFDs will focus on monthly or weekly time frames while short-term traders look at daily movements or those that are even smaller, such as within minutes. You should choose the time frame that works best with your personality. The final basic strategy that 24option reminds traders to consider is to always have a trading plan. This means completing research before going into a market, so you know if you want to go short or long and why, as well as the amount of capital you wish to risk and where you plan to enter or exit the trade. Having a strategy in place lets you minimize the risk and reduces the chances of mistakes due to fear or greed. As is the case with CFDs, 24option has a short page of its website dedicated to forex strategies. The advice begins by suggesting that you select a period of time during which you will trade and then select the currency pairs that are most active within that period. Those who trade forex full-time will likely want to choose hours that correspond to U.S. trading times as that is when the USD pairs will be most active. If you do not have that luxury, you will need to evaluate which pairs are most active during the time you can dedicate to trading. This will likely come down to what markets are active during your trading time, based on time zones. With forex, you should consider opting for longer time frames for trades, at least days or weeks. This is particularly smart for those who are part-time traders since you will not be able to watch the market 24/7. Even those who can trade forex full-time will appreciate that focusing on long-term forex trades gives more time to research and analyze. Finally, as with CFDs and any other type of trading, you should always have a plan or strategy in place when trading forex. This plan should include the direction you will trade, the reasons for your market predictions, and your entry and exit points. Don’t forget to also include a stop loss level in case the trade doesn’t work out as you hoped. What Other Trading Strategies Does 24option Explain? If you go to the Education section of 24option, you will also find explanations for other trading strategies, specifically technical and fundamental analysis. In each case, you will find a description of the type of analysis and a quick guide to indicators or factors that help you accurately use the given method. In addition to the previously mentioned guides to trading strategies for CFDs and forex, 24option also offers a glossary for CFDs so you can familiarize yourself with all the terms that you will come across during research and trading. 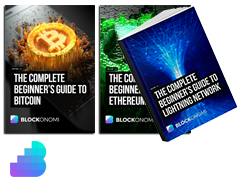 There is also a guide to cryptocurrencies, including a brief history as well as overviews of the most common cryptocurrencies (and those that 24option offers as crypto CFDs). This guide also features a quick overview of the cryptocurrency market and trading cryptocurrencies with 24option. One of the best educational materials from 24option is its interactive eBook that delivers a visual guide to CFDs and forex. It has a range of topics, including a comprehensive glossary, trading strategies, market analysis, and trading psychology. There are even quizzes at the end of the chapters to let you test your knowledge. For those who prefer learning via videos, 24option has a very nice selection of videos on demand for all skill levels in a range of topics, including series for CFDs, forex beginners, forex intermediate traders, and a forex intro. Account holders can also take advantage of free webinars from 24option to hone their skills. These webinars cover a range of topics and encourage questions. What Other Tools Does 24option Offer? 24option also has a news feed that includes daily market reports for various major markets and specific assets, as well as other relevant news that can impact forex and CFDs. You can alternatively look at the daily financial news, which includes both written and video summaries of the financial headlines for the day. Unsurprisingly, 24option has an economic calendar displaying the date, currency, message, impact, actual, forecast, and previous figures for each event. Users with access to Trading Central get to take advantage of Advanced Market Analysis for historical and real-time information that can help traders find trends and patterns. The database in Trading Central has more than 8,000 assets, including forex, stocks, and commodities, all with commentary and data. You can set up alerts for updates on your favorite assets, view detailed technical analysis reports, utilize indicators, and use Japanese candlestick signals. As mentioned, 24option strives to always provide personal yet professional support. As such, there are multiple contact options, including live chat via the website, email, or phone. As you navigate the 24option website, you will notice an icon for the live chat always is in the bottom-right corner of the page for convenience. Or visit the Contact Us page and fill out the form to receive a response via email. Visiting the Contact Us page will show you a map of the world with pins marking customer support for each region or country that 24option serves. Clicking on any of these pins will display the specific website for that region, the email address, and the phone numbers, including separate numbers for general phone, fax, customer service, and affiliates. Alternatively, you can select your country from the drop-down menu directly below the map, which will take you to the appropriate pin on the map and display the same information. 24option is governed by two regulators – Rodeler Limited is licensed and regulated by the Cyprus Securities and Exchange Commission (CySEC) under license number 207/13. Richfield Capital Limited is regulated and authorized by the International Financial Services Commission of Belize under license number IFSC/60/440/TS/18. The company is located in Unit 313 at No. 16 Cor. Huston and Eyre Street, Blake Building, Belize City, Belize. The payment agent for Richfield Capital Limited is Wonderbridge Services Limited. Due to legal regulations in various jurisdictions, 24option does not offer services to those within Switzerland or the European Economic Area. Additionally, it will not operate in the United States, British Columbia in Canada, and select other regions. 24option is a broker that offers its own trading platform via the web or mobile devices or works with MetaTrader4. They focus on CFDs, cryptocurrencies and forex, offering CFDs for a wide range of assets, including multiple cryptocurrencies. This broker was founded in 2009 and is regulated to instill confidence in traders and has an intuitive platform with a range of assets and vast educational resources. The trading platform is very well designed and one of the best we have seen with this type of broker, experts and beginners alike should have no trouble navigating it and making their trades. Reading reports online from 24option customers suggests that they have good customer support which is fast and responsive to any questions you may have. As always when trading CFDs, you must cautious and employ and a trading strategy as its possible to lose money with this type of trading, especially when using leverage. How long does it take for my uploaded documents to be approved?